The purpose of the Centurion Award was to highlight “Hometown Heroes,” or those Arrowmen who have meaningfully contributed to the forming, maturing and ongoing operational excellence of their local council’s lodge, and who, in doing so, have inspired others to follow in their footsteps. Six members of Atta Kulla Kulla Lodge were announced nationally as Centurions in 2015. This award is a one-time recognition associated with the centennial anniversary of the OA that is bestowed by the national Order of the Arrow committee. It is modeled after a similar program in the BSA’s 100th anniversary celebration, the 2010 National Hall of Leadership. Accordingly, this recognition is an opportunity to highlight lodge development over the last century and the many individuals, both youth and adult, who were instrumental to this success. Centurion Award honorees serve as exemplars of leadership, modeling to others a commitment to cheerful service as the Order of the Arrow enters its second century of service. Over 1,800 brothers from across the nation were recognized as Centurions, including many who have passed away but their role in shaping their lodges has not been forgotten. As the Order embarked for the next century of cheerful service and the lodge prepared for the next 75 years, these six Centurions served as a paramount reminder of our lodge’s legacy. Tim Hunt is a Vigil Honor recipient and Eagle Scout of Atta Kulla Kulla Lodge where he served as an officer for three years. In his tenure in Lodge office, he served two terms as Editor and one term in 1985 as Lodge Chief. Tim served seven years on Camp Old Indian Staff where he was recognized as the outstanding staff member in 1989. He has attended over eight NOACs, two of which he served as the contingent leader. 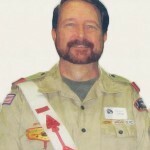 Tim served as Lodge Adviser from 2005 until 2011 and has served as the SR-5 Ceremonies Adviser since 2012. Mac McLean is a Vigil Honor recipient and Eagle Scout who was first inducted in Santee Lodge in Florence, SC. 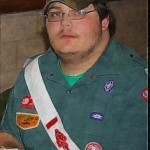 In Santee Lodge as a Youth member, Mac served as a Chapter Chief, Lodge Treasurer, and Lodge Chief. Mac then went on to serve as Section Chief in 1983 and 1984. Mac served on Camp Staff at Camp Coker for eight years. Mac served as Lodge Adviser from 1992 until 1996 and became Section Adviser in 1997 where he continues to serve today. 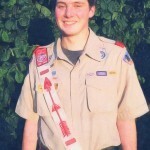 Michael Thompson is a Vigil Honor Recipient, Eagle Scout, and is the current Council President. Michael also serves currently on the National Order of the Arrow Committee as the Vice Chairman for Recognition, Awards, History, and Preservation. Michael served as Lodge Adviser from 2002 until 2005. Michael has served on the Southern Region Executive Board since 2005. David Buchanan, a member of Ca-Nu-Pa Chapter, is a Vigil Honor member who has served faithfully in both the Venturing and OA programs. David served as the Lodge Secretary in 2012 and as the 2013 Lodge Chief, David led the effort to align the Lodge inductions with National guidelines and the previous tap-out was removed for a time. As a Venturing leader, David sat on the Area Committee and helped build a stronger Venturing program. James Stokes, a member of Sahkanaga Chapter, is a Vigil Honor member who has exemplified selfless dedication to the Lodge. He has led countless inductions for the Lodge and is a model Elangomat. 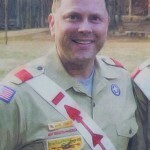 James served as the 2015 Council Venturing President and as the Lodge’s first Vice Chief of Inductions in 2013, James revised the Lodge inductions to match National guidelines. James served as an Officer for many years and as the 2016 Dixie Fellowship Associate Coordinator. Currently, James serves as the Vigil Honor Chairman. 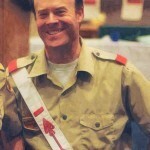 Matthew Watson, a past Chapter Chief of Ani-Wa’ya, is the current Lodge Chief, has served as a Lodge Officer for five years, and served in section leadership for three years where in 2016, Matthew served as the Section Chief – the first SR-5 Chief of the Order’s second century. Matthew is a leader of the National Communications Team, leads Journey to Excellence for the Southern Region, and has staffed multiple NLS courses for the Region. 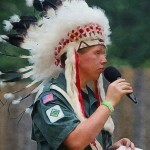 Most recently, Matthew was elected to serve as the 2017 Jamboree Vice Chief of the Indian Village. Matthew also serves on the Recognition, Awards, History and Preservation Subcommittee of the OA and for the 2015 anniversary year, authored the Lodge’s centennial history book.